Like a bucket of water for some, or a finger in the eye for others, it hits you: The holidays are over. You haven’t eaten a vegetable for two weeks; you’ve watched so many murder documentaries on Netflix that you’re convinced you can do it and get away with it. Your bedtime routine is totally out of whack and the thought of rolling into work with the equivalent of jet lag frightens you into denial. To add insult to injury, you can’t remember your photocopier code, and if you’ve had a really good holiday, the password to your laptop either. Or are you? Let’s remind ourselves why we can’t wait for Monday. We actually don’t have to think too hard to remember our teachers at school. I can recall a time during a French lesson when my friend scrunched up a piece of paper and threw it at the teacher, near missing her. She ignored it at the time, but the next day while we were working in silence, she scrunched up a piece of paper, threw it directly at my friends head, hitting him square in the forehead and then reprimanded him in her thick French accent: ‘See? I got you back now!’ This actually happened. From my science teacher who got me 2 As, to the philosophy teacher who taught us what it really means to think, I remember them all. Whether it’s for your crazy sense of humour like my French teacher, your ability to explain complex concepts like my chemistry teacher, or your propensity to blow pupils’ minds like my philosophy teacher, you will be remembered. Many of us have a tendency to feel underappreciated and undervalued, but this is usually due to bad management- not the kids. While they may not always show it, kids know that we are a key variable in their future life chances and they will remember us for this. Many of our non-teacher friends will never understand the feeling of truly being remembered, whereas much of a persons future success will in some way be attributed to us. What a privileged position to be in! Every teacher has their aura. Whether we know it or not, we are constantly teaching kids how to navigate their way through life as well as our subject. 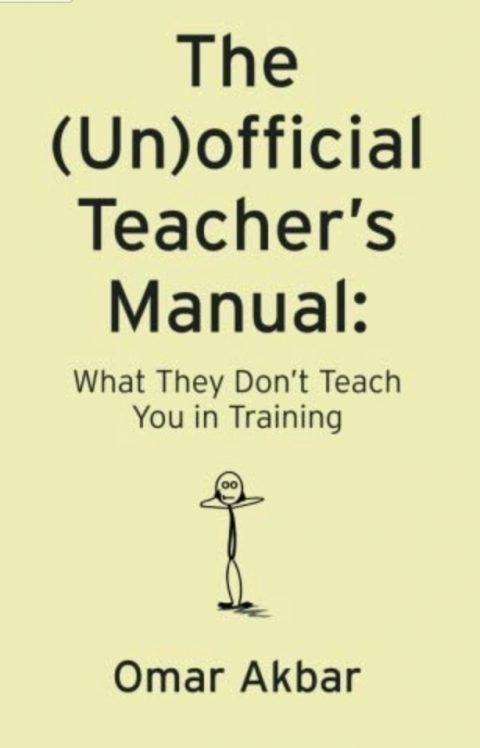 Psychologists tell us that we become the people we spend time with, so it follows that some of what a teacher is, will ultimately become some of what a pupil is. Yes, teaching is a career that involves some degree of acting, but I strongly believe that we probably don’t leave our deeply held values at home. I can recall complaining to my history teacher ‘Why do we have to know history? It’s already happened! What can you be with history anyway? He replied: ‘Is that what everything’s about in life? What you want to be?’ He could have just told me to shut up and do well in it but he chose to give me a deeper message. And the words still resonate for the better. I can give many examples of teachers having influenced me in this not-so-subtle, subtle way so it is likely that we too will do the same – wittingly or unwittingly. If you teach at a school with high socio-economic deprivation, there is a very good chance that you are a major source of stability in a child’s life: As well as being remembered, you are bloody well needed! In addition to this, humans are creatures of routine. It is likely that our early ancestors averse attitude to the unknown gave them a survival advantage, so while we’ve enjoyed the random sleeping times, the bad food and catching up with friends without a time limit, we are hardwired to know that this is only fun up to a point. Whether we like it or not, most of us crave routine and want it back! ‘Oh my God Sir! You’re a good teacher! Stop shittin’ yourself!’ Was what a kid once said to me during an Ofsted inspection when I was constantly looking at the door during the lesson. Another time a pupil was wearing a bright yellow jacket in the building and I asked her to remove it as it was ‘blinding me.’ Her response? ‘When the light reflects off your bald head it blinds me but you don’t hear me complaining.’ I had to admit defeat and just laugh along. Think of all the funny incidents that have happened to you and will continue to happen? I can’t wait for Monday. For me, nothing on Netflix beats kids’ humour.